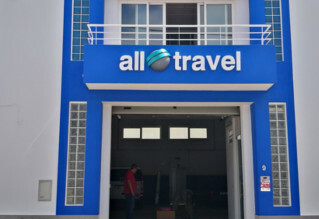 Faro is the capital of the region of the Algarve and receives through Faro Airport millions of visitors annually, with 45 airlines serving this airport and is served by a public transport network that include minibuses, local bus lines, and regional services across the Algarve. Faro Airport is the only gateway to the region, sometimes known as Algarve Airport, only 4km away from city center where you can discover a vast cultural heritage, A fascinating city, full of history ready to present its architecture and its people with a hot-summer mediterranean climate (summers are warm to hot and sunny with average daytime temperatures of 27–35 °C / 81–95 °F). Faro Airport Transfer service, thinking about you and your family. Our Travel Agency has been in the private transportation market since 2007, with a multidisciplinary team dedicated to providing the best transfer service in the Algarve. Also, you can check our rentals for holidays in Portimão and various experiences. Your arrival at Faro Airport will be more relaxed, because our driver will be waiting for you in the arrivals area, with a name card to receive you and help with luggage to the car and take the motorway directly to your accommodation. At the time of collection scheduled the driver will wait at the main entrance of the accommodation, ready to transport you to Faro Airport. Over 10 years of experience operating in the market with a team dedicated to improving the quality of service for satisfaction and comfort of our customers. Economical, safe and reliable service for traveling. Our driver will help you on the journey and transport you directly on the motorway to your accommodation. Private travel, for you and your family or fellow travelers. Personalized transport from Faro Airport to all destinations in the Algarve, Lisbon, Porto and Spain. "Muito bom atendimento ao cliente e transfer eficiente. Transporte do aeroporto para o meu hotel sem atrasos e por isso optei também pela viagem de volta! Altamente recomendado, motoristas simpáticos!" © 2018 AllTravel, Lda. All rights reserved.